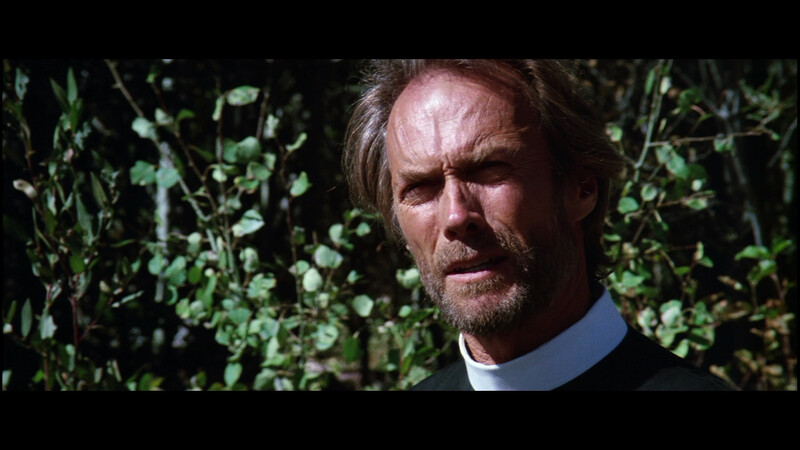 As the film's director, Eastwood has done some interesting things with his vision of the West. Instead of making the miners' shacks into early American antique exhibits, he shows them as small and sparse. The sources of light are almost all from the outside. Interiors are dark and gloomy, and the sun is blinding in its intensity. 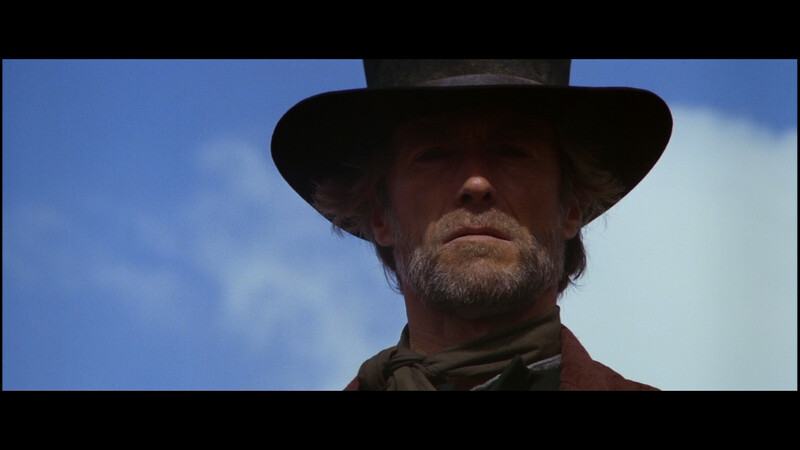 The Eastwood character himself is almost always backlit, so we have to strain to see him and this strategy makes him more mysterious and fascinating than any dialogue could have. There are some moments when the movie's mythmaking becomes self-conscious. 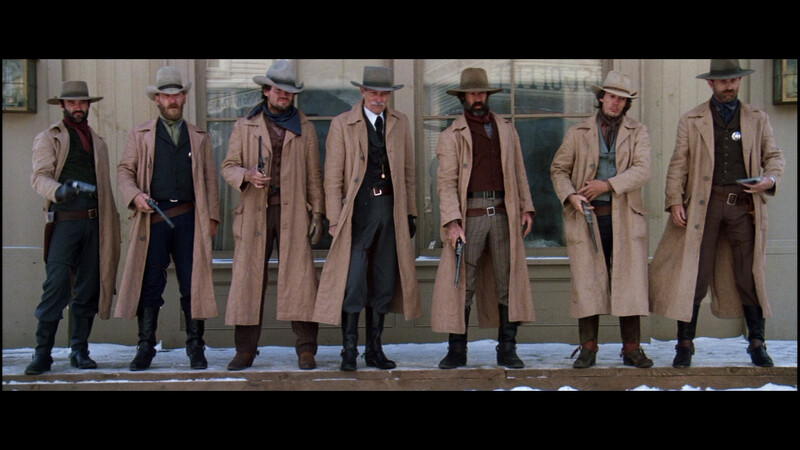 In one scene, for example, the marshal's gunmen enter a restaurant and empty their guns into the chair where Eastwood had been sitting moments before. He is no longer there; can't they see that? In the final shootout, the Preacher has a magical ability to dematerialize, confounding the bad guys, and one shot (of a hand with a gun emerging from a water trough) should have been eliminated--it spoils the logic of the scene. 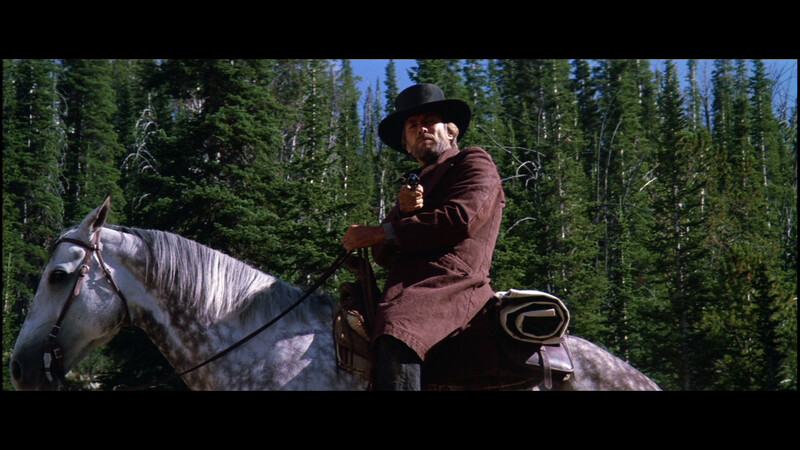 But "Pale Rider" is, over all, a considerable achievement, a classic Western of style and excitement. Video: NOTE: The below Blu-ray captures were taken directly from the Blu-ray disc. 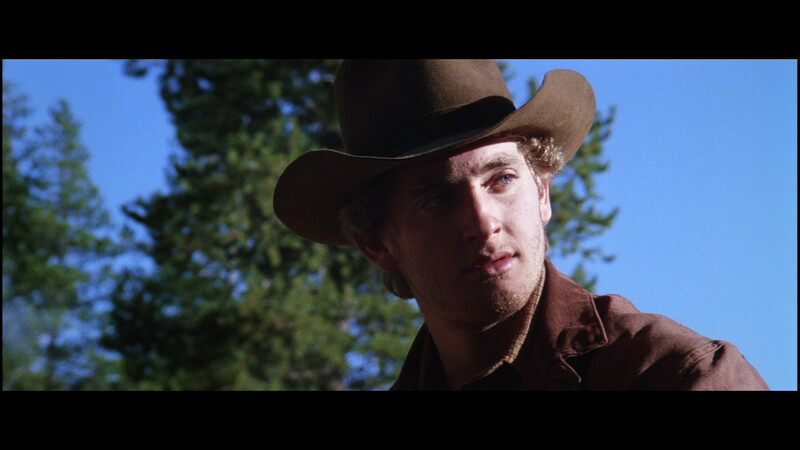 The image has both good and poor features mostly relatable to the film itself which was shot in Columbia State Historic Park California and Sawtooth National Recreation Area, Idaho. The vistas are, at times, breathtaking. 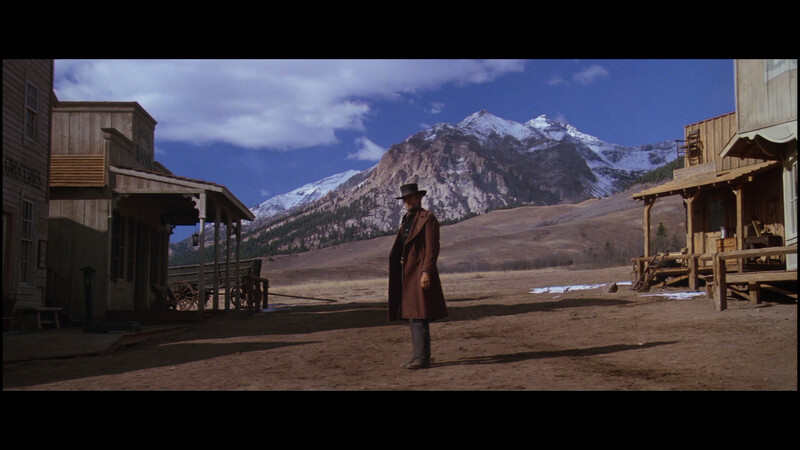 A negative, in my opinion, is the manner in which the film was shot - or rather the time of day. 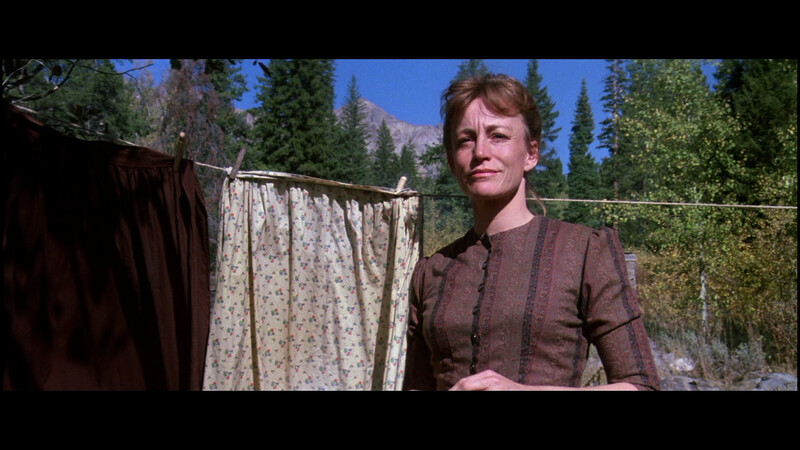 Bright sunlight obscures facial details in many instances - of course, Ebert and other critics note that this was intentional. We can't often see eyes under hat brims (both male and female characters) and this juxtaposes the brilliance of the landscape. It also reflects to some degree on the 1080P transferred image which, in those instances, never seems to capitalize on the pristine quality it could present. Regardless, when detail is visible, it is strong. 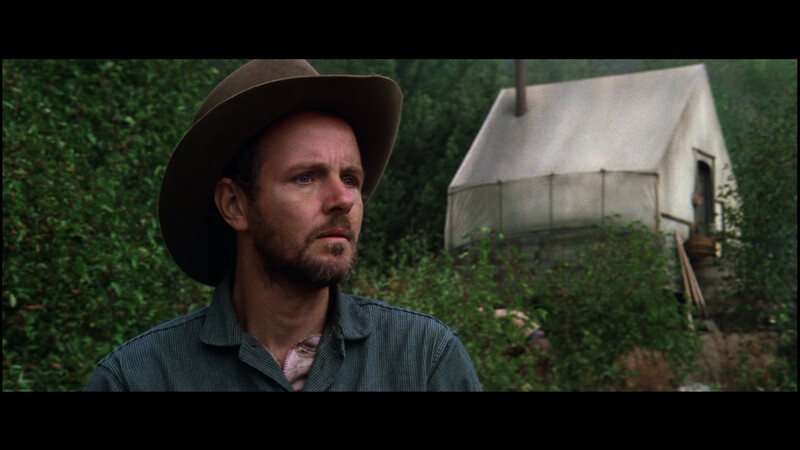 Noise exists but is very fine and appears as good grain - a nice touch for such a retro-western film. I wouldn't say this Blu-ray is of demo quality for the image but is consistently strong - and far superior to the old SD-DVD. Colors are bright and true - a shade saturated - while overall the image is clean and smooth - typical of a well rendered high-definition Blu-ray. Technically, just, single-layered (the feature takes up over 23.7 Gig), and is encoded using AVC-1. I don't see evidence of any DNR filters or edge enhancements. I hope the large screen grabs can give you a good idea of how it will perform on your system. There is really nothing to overly fault - it's very impressive. Audio: The True HD 5.1 option is strong and supports the careening bullets and grunting, galloping horses with decent range. It seemed dynamic at times and I really have no complaints although only tested the standard 5.1 option for a few minutes. There is a reasonably subtle score by Lennie Niehaus and it sounded very nice - clean and clear - sometimes compelling. There are a host of DUBs signaling this is set for sale around the globe and therefore is region-free. Ditto for an extensive range of subtitle options available. 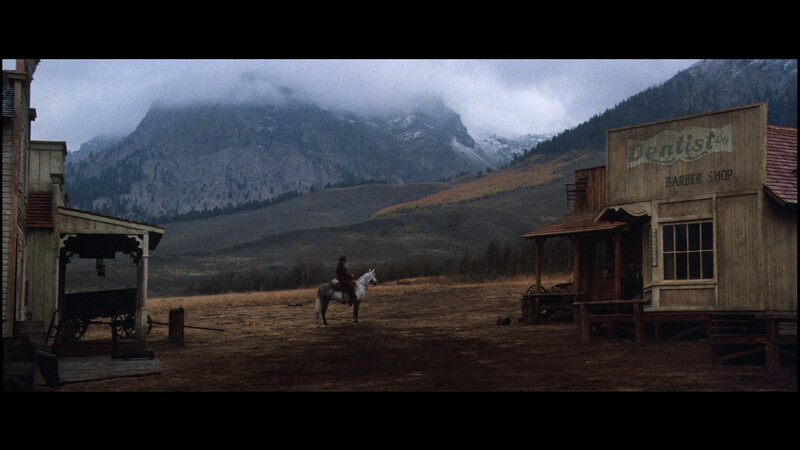 Extras: Nutt'in save an SD trailer for Unforgiven and one for Pale Rider. Disappointing that Clint (or someone) couldn't partake in some form of supplement - be it a commentary or interview but I guess he's a busy man. 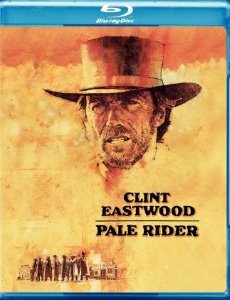 BOTTOM LINE: In my typical contrarian viewpoint to a lot of critics I just don't see this is a great western film at all. 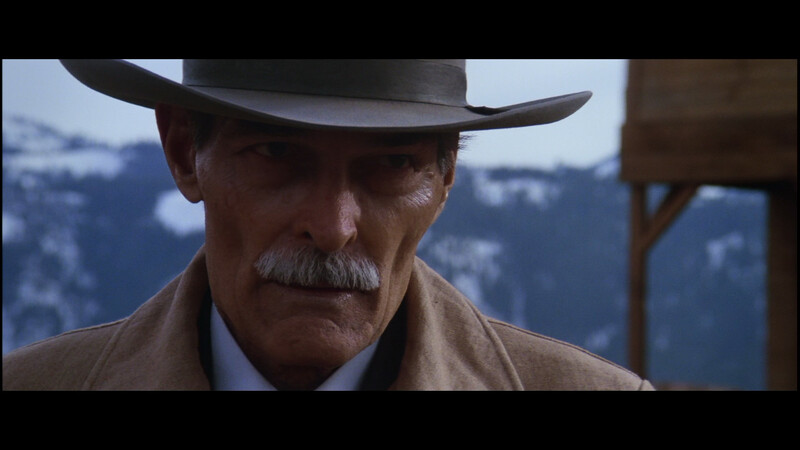 It's obvious and formulaic with one dimensional characters and seems all-in-one giant effort to perpetuate Eastwood's onscreen persona of a quiet, exceptionally strong, mystery man. There I said it. Maybe I need to watch it yet a third time to come 'round. As for this Blu-ray it's competent and looks darn good at times. Warner is doing an excellent job bringing titles to high-definition. 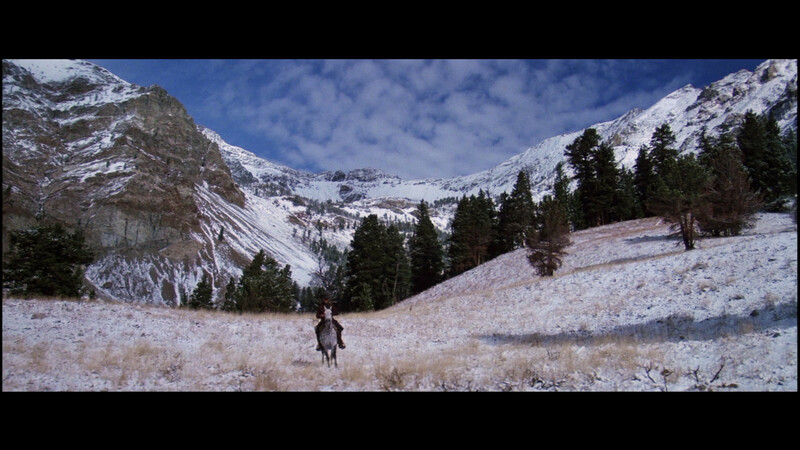 Pale Rider is a strong presentation of a less-then-classic western fable. If you are keen, you need not be afraid to indulge my children - so sayeth Preacher Gary (with my hat covering my eyes).